Why is there no transportation master plan? The Federal Government is spending money to upgrade VIA Rail in the Quebec City to Windsor corridor while the Ontario Provincial Government’s plans for High Speed Rail will probably be the end of VIA Rail service in south western Ontario. The Pearson Airport Master plan is to move short haul flights to regional airports and only have long haul flights at Pearson. The plan is to connect Pearson to Waterloo or Hamilton via high speed trains. 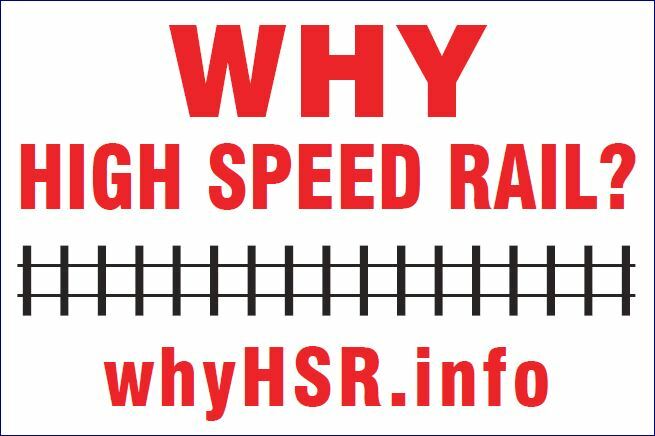 Why does the current plans for HSR not stop at either Pearson, Hamilton or Waterloo? The Ontario Provincial Government’s Greenbelt plan is designed to protect farmland. HSR between Kitchener and London will consume over 1000 acres of farmland. Why have Stratford, Cambridge, Woodstock, Brantford, Ingersoll, St. Marys and St Thomas all been ignored? Why don’t the Federal and Provincial Governments talk to each other? Why don’t the Ontario Provincial Government Ministries talk to each other? Why doesn’t the Ontario Provincial Government listen to what the Municipal Governments are telling them? Why is there no master plan to connect communities?